Chinese automobile manufacturers might still be tagged with the social stigma deeply embedded in the minds of the car-obsessed public. This comes as little surprise, since the products we get to “scrutinise” at the recently concluded Beijing International Auto Show are far from original. 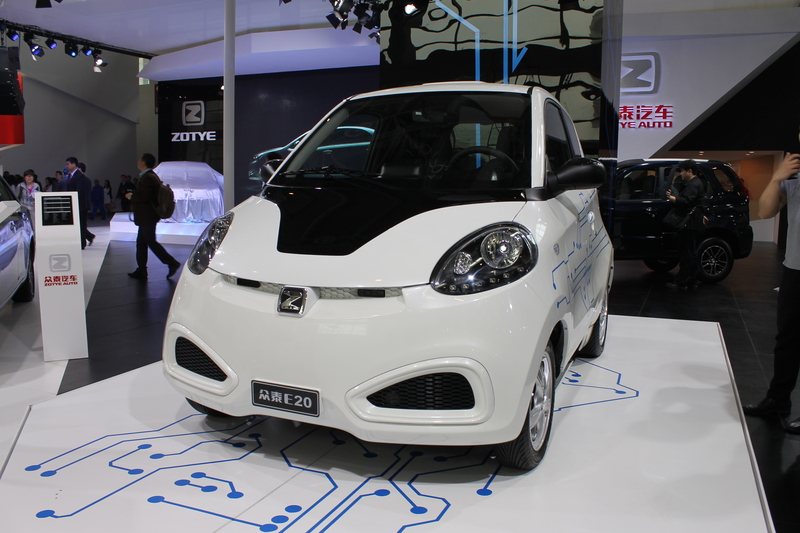 Just take a look at the Zotye E20. It looks as though a Ferrari F430 Scuderia had a love affair with a Toyota Aygo. Sounds like a plan to capture a larger slice of the fancy EV market, but when put into practice, it’s not quite the aesthetically pleasing output we desire when placed into mass production. But the Chinese car market is still having the last laugh in the end, with auto sales smashing the 20 million mark in 2013, ballooning by nearly 14 per cent. It is (as expected) still the world’s biggest car market. This implies that cars like the Zotye E20 could see sales surpassing more technically superior imports – a statistic that foreign companies ”vow” not to concede without a good fight. This pot of gold and high potential for market growth proves all the more vital for European manufacturers, since reports out of Europe have not been promising. On a global scale, sales of French cars “hit a 15-year low” in 2013. Transactions for German cars fell last year too. This could mean that more European imports should and would “seek refuge” in the highly lucrative market of the Middle Kingdom, if they play their cards right. One part of the world benefiting from the sheer scale of China’s economic ability will be the United States, with General Motors posting a 11.4 per cent hike in vehicle sales from 2012 to 2013. By now, we should realise that anything is possible in China. Even if we still have doubts regarding Chinese-made modes of transport, we cannot avoid the fact that this shift in economic advantage places Chinese companies at the driver’s seat in terms of economies of scale, familiarity, labour cost and geography. And with the West’s superior technical advantage over local products, it could very well be a win-win situation for all major players dabbling in the Chinese market. Its more of a marriage of convenience than fight for the finish line. Well played, folks.